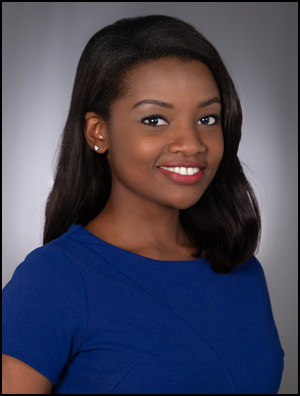 Shirley Descorbeth joined the CBS 58 news team in July 2018. A Chicagoan, she is thrilled to be near her hometown, covering the city of Milwaukee and its surrounding areas. Previously, she spent three years chasing news in communities of Iowa, Illinois, and Southwestern Wisconsin. While there, her talents took her to the continent of Africa, to cover a series of stories in the country of Algeria. She also reported on numerous presidential campaign rallies and the devastating Iowa floods of 2016. Before taking the leap of faith into television news, Shirley had a successful career in digital marketing, managing campaigns at the Chicago Sun-Times. She received a master's degree in Public Affairs Reporting from the University of Illinois at Springfield. For undergrad, she graduated from the University of Illinois at Urbana-Champaign with a bachelors of science degree in Broadcast Journalism. A lover of all things international, she grew up with an understanding of Spanish and Haitian-Creole.